Glen Wood, the founder of legendary Monster Energy NASCAR Cup Series team Wood Brothers Racing, has died at the age 93, the team announced Friday, Jan. 18. Wood Brothers Racing has participated in 1,465 races over the past 65 years. 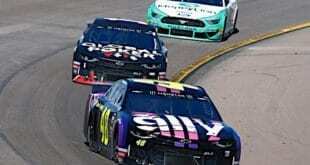 The Stuart, Va.-based organization has compiled 99 wins at the Cup level, most recently with Ryan Blaney earning his first career win at Pocono Raceway in June 2017. Additionally, the team has five Daytona 500 wins and nearly 25,000 laps led. 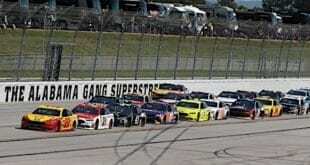 The team has fielded cars for a vast array of racing legends in both stock car racing and when stars of other forms of motorsport wanted to try their hand at NASCAR. Junior Johnson, David Pearson, Tiny Lund, Cale Yarborough, Donnie Allison, AJ Foyt, Dan Gurney, Parnelli Jones, Neil Bonnett, Bobby Rahal, Kyle Petty and Dale Jarrett have all wheeled a car prepared by the Wood Brothers. Interestingly enough, Wood was the team’s first driver as well as the owner. 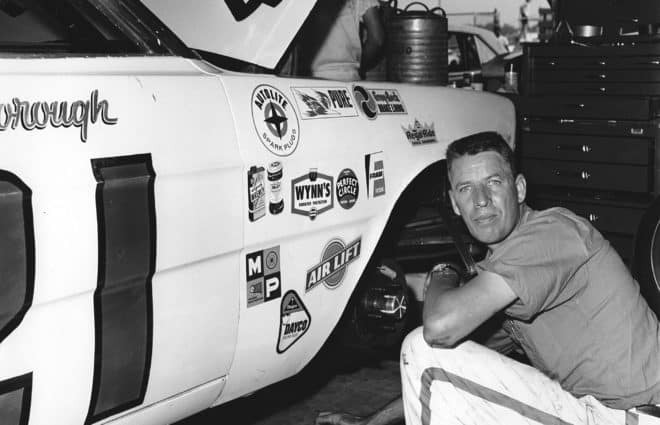 He made 62 starts in the top division of NASCAR from 1953 to 1964, winning four times, before moving to a pure ownership role. Under his guidance, the team enjoyed a remarkable level of longevity rarely seen in racing and the likes of which may never occur again. Funeral arrangements are pending and will likely be announced in the coming days. Never given their due in recent years. All the yack about Hendricks and Gibbs who never turned a wrench in their lives. 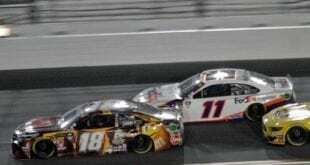 NASCAR does a BAD job of covering the field at each race; many, many teams and there sponsors get little or no coverage. It’s all about the celebrities running up front: no color stories about lesser teams, drivers, etc. I wonder if Hendrick or Reverend Joe will be held to the same level as the owners from the past? Sorry to hear this but he hung in there…. 93 years!!!! Question; Can anyone just say “The Wood Brothers” anymore, without adding “Legendary” before the name? Last of the great mean of real stock car racing…RIP. Last of the great men of real stock car racing…RIP.